The failure of policy makers to learn the wisdom of those nurturing the Earth is tellingly revealed when John Todd describes how they began with a dead canal full of oil, and turned it back to prolific life, only to have funding to monitor the results ended by the Environmental Protection Agency. He points out “Sadly, we no longer have the resources to study the details of the transformation in the canal in a measurable scientific way. The only instrument I can use are my own eyes. There is a vibrancy in the water and on the water, and I can see that the living technology continues to support the ecosystem in the canal, proving its cost-effectiveness year in and year out”. Most restoration pioneers have the same experience, everyone can see their results, but they lack funding for tools to measure and “prove” them, except for photographs. How to get there is the real challenge for the rest of this century. 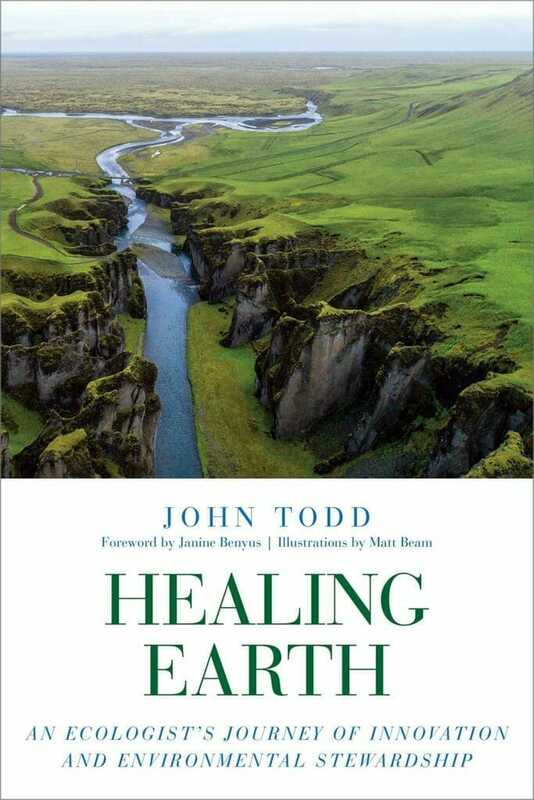 Todd envisions 25 year re-generational cycles in which productive soils are grown, and polluted waters healed, generating new goods and services for future generations. He envisions “NGOs, philanthropy, and governments” as playing key roles in kickstarting the regenerative process. NGOs have the knowledge of how to implement these solutions, but until the financial and government sectors open their minds, learn from their mistakes, and join global regeneration efforts, their hands are tied behind their backs. Will enlightenment happen in time?